The 500,000 views celebration is in full swing here at www.heidirubymiller.com. I'm now at 506,000 and STARRIE is #51 free in all of science fiction on Amazon and #2 in space opera. 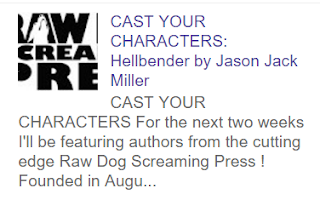 Here's another CAST YOUR CHARACTERS for the number 7 spot of all-time most-viewed posts (as of today), and this one belongs to my husband, Jason Jack Miller, and his award-winning novel HELLBENDER, part of the Murder Ballads and Whiskey series. Since Jason isn't one for shining a light on his own accomplishments, I'm quite happy to: Hellbender (Raw Dog Screaming Press) won the Arthur J. Rooney Award for Fiction, the McLaughlin Scholarship, and was a finalist for the Appalachian Writers Association Book of the Year in 2013. See who was cast for HELLBENDER at the original post. 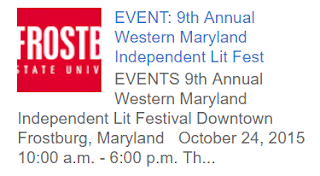 Coming in at number 8 is the Western Maryland Independent Lit Fest, which is hosted each autumn by Frostburg State University's Center for Creative Writing and its director, Gerry LaFemina. Frostburg will always hold a special place in our hearts because that's where we first met Jennifer Barnes and John Edward Lawson of Raw Dog Screaming Press (and Dog Star Books and Guide Dog Books and Anti-Oedipus Press, and Imaginary Books), which began a relationship that continues today. You can see photos at the original post. ...making my latest book, STARRIE, free on Amazon for the first time ever. The celebration (and free books) run from Tuesday, December 20 - Saturday, December 24, 2016. 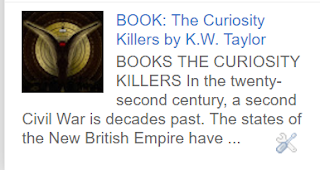 Counting down my most visited posts (as of today), we start with Number 10 - BOOK: The Curiosity Killers by K.W. Taylor. traveling companions anyone could ask for." You can find out more about this unique book by reading the original post. 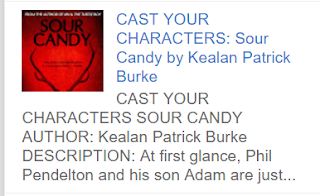 In the Number 9 slot is CAST YOUR CHARACTERS: Sour Candy by Kealan Patrick Burke. 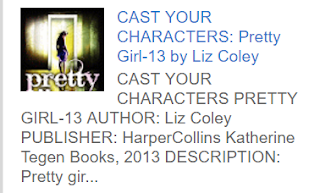 The CAST YOUR CHARACTERS series is almost as popular as HEIDI'S PICK SIX, both of which you can peruse if you scroll down on my INTERVIEWS page. The casting for Sour Candy with stars like Rami Malek and Carla Gugino is only part of the appeal here--the biggest draw, I believe, is Kealan Patrick Burke himself. 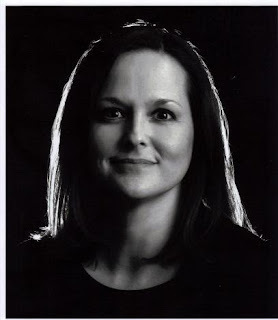 A Bram Stoker Award-winning author, owner of Elderlemon Design (which created the iconic cover for the book), and self-proclaimed road-tripper. His work has garnered critical and fan praise and earned him a dedicated readership. And, he's just a nice guy. To find out more about who Kealan cast in Sour Candy, click on the original post. My very first post was a book review of The Complete Idiot's Guide to Writing a Novel by Thomas F. Monteleone. Tom was my first mentor in Seton Hill University's Writing Popular Fiction Graduate Program and remains very dear to my heart. Jason and I still bring out bits of advice from his book and from chats with Tom at school. He is known, of course, for his international bestselling and critically acclaimed Blood of the Lamb, as well as numerous other novels and short stories, and as co-editor with his wife Elizabeth Monteleone on the groundbreaking, Borderlands series. The novel that Tom was instrumental in helping me bring to life was my thesis, AMBASADORA BOOK 1: Marked by Light (Dog Star Books 2013). 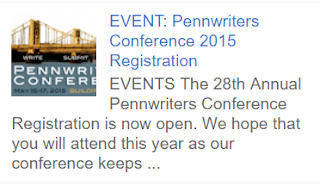 I remember fondly the monthly notes (written on printed out manuscript pages!) and phone calls during that very developmental first year of my graduate studies. The book and my career today would not be what they are without Tom. I always say there are less than a dozen people to whom I attribute the majority of my success--Tom Monteleone is certainly one of them. The best thing he ever said to me, and what I live by as a writer today, is "write a book you'd be proud to have on your own shelf, then you'll always have something around that you want to read." That's how I feel about every one of my books. In 2014, we were pilgrims on Camino de Santiago–my wife, daughter and I--from the Pyrenees to the Atlantic we biked across norther Spain. After the Navarro heat and the wine fields of Rioja, Leon’s dazzling stained glass and the climb over O’Cebreiro, on the last day’s ride to Santiago, three of us pushed bicycles the last fifty yards. There was a man in a green kilt who played bagpipes in the shade of the stone arch entrance. The high notes soared through the passway and delivered us to the field of light before the cathedral. And when we walked onto the courtyard and beheld the time-worn stones of its face, the three spires rising and rising before us, the mid-afternoon sun full on it, and above, the man-sized James, a fishermen, as lore had it, beckoned and I forgot the flesh wound in my side and thought to fall down and weep jubilantly, just as all of the others who made the trek of the soul and body, through space and time to this place. For such a moment, there was no preparing. There was another thing–the day we topped a hill at noontime and the land fell away in a panorama so I spun on a foot gazing on fields of blood red poppies, as far as the eye could see, blooming in the sun even to the reaches of an ancient church where the Camino winded, and the three of us--mother, father and daughter–hugged on the roadside with heartfelt joy, this after the hard ride. We sipped wine and broke bread in the cloister marked by the cross of St. James. And it was good, this life. 4. What else can you do besides write? 1. Put juice into fermentor container; immediately add crushed Campden tablet and Pectic Enzyme to prevent browning. Stir in all ingredients except Yeast. Cover. 2. After 24 hours, add Yeast. Cover. 3. Stir daily. After 5 days, syphon Cider off sediment into a glass jug. 4. After ferment is complete, around 3 weeks, syphon Cider off sediment into a clean container. Stir in 1/4 cup dissolved sugar per gallon of Cider. 5. Wait for a hard freeze. When one is coming, take container outside, cover, leave overnight. Next morning, scoop off all slush and ice. What’s left is Apple Jack Whiskey. Bottle. Age for 3 months. Give thanks. All be joyful. I’ve just finished teaching the first semester of a year-long novel writing workshop for undergraduates, a class where ten hand-selected student writers contract to write a full-length novel over the course of an academic year. The contract requires them to rise at 4:30 daily, write two pages a day, ten pages a week, thirty pages a month, and a hundred and sixty pages by finals at the end of fall term. Beside my desk, right this second, are 1,650 pages of new American literature, some of it not so bad. That’s what I’m reading now. 8. Where do you find inspirations to write? I find inspirations to write at 4:30 each morning in my writing room built onto the back of my house which has fifty or so four-leaf-clovers buried inside the steps I walk down to sit at my desk, turn on the typewriter and go. Most often, I’m done before first light, do it again the next day. That close to your dream state, your inner-censor is turned full off. Get stuck, walk out and rouse the chickens. Plenty of inspiration there. 9. Food you could eat every day? Apple Jack Whiskey–it’s what got all the apple trees in New England cut down by the Puritans. Out here in the wild west, after the snow melts, we float the rivers–the Green, Colorado, Salmon, San Juan, Snake. The white water is huge, and every big rapid has taken lives. The only way to row that sort of stuff is to stay in shape and stay a little crazy, so I work out hard twice a week on dead weights, do windsprints, hike the foothills on Sunday, ski hard in winter. This keeps me honest, and a little crazy. And hopefully out of deep water. 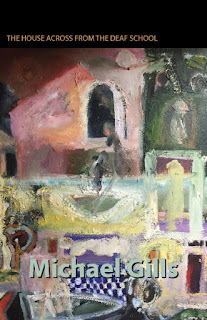 Michael Gills is author of three collections of short fiction, including The House Across From the Deaf School (Texas Review Press, fall 2016), two novels, including Emergency Instructions (Raw Dog Screaming Press 2017), and White Indians, a visionary memoir, part two of which is forthcoming. 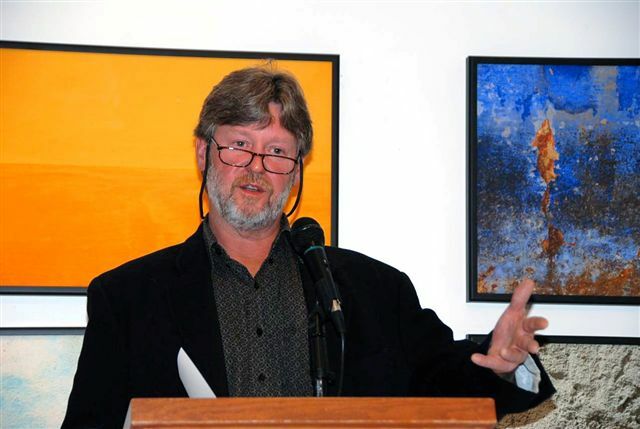 He is Associate Professor/Lecturer of Writing for the Honors College at the University of Utah. Gills’ collected papers are archived at Martha Blakeney Hodges Special Collections and University Archives, The University of North Carolina at Greensboro. Michael Gills’ third collection of short fiction, continues the life and times of Joey Harvell, whose stepfather, in “Last Words on Lonoke,” gives him a .30-06, tells him not to aim at anything he doesn’t want to kill, and “that’s pretty much it for [his] gun safety lessons.” Later, in “What The Newly Dead Don’t Know But Learn,” his uncle swims Joey and a group of fake cowboys across a creek on Camp Robinson, only a fisherman’s trotline is stretched across the S-curve, and the result, like the book as a whole, is a hard fight there’s no recovering from. 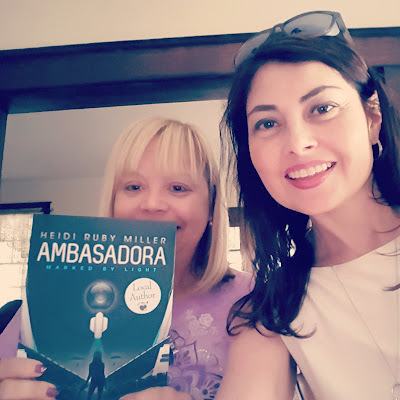 After I signed a copy of Ambasadora Book 1: Marked by Light for Shelby Svokos of Uniontown. Thank you for the support, Shelby! The first clip from our Italy trip! This is from our evening cruise along the five villages of the Cinque Terre, courtesy of Angelo's Boat Tours. I'd highly recommend them for anyone visiting the Cinque Terre. Your favorite bartender is headed on vacation - and this time it isn't all high heels and handsome hunks. Try gators, a grandmother, and gold. The De'Laruse matriarch carries a secret from the Civil War era, and it's high time to tear down the accompanying rumor mill. More than a hundred and fifty years ago, French gold was captured when the ship aiding the Confederacy tried to run the Union blockade. Addie enlists the help of Vicki Bohanan and her granddaughter, best bud Janine De'Laruse, to decode the clues left in a Union soldier's journal to solve the mystery once and for all concerning what happened to the bars emblazoned with the fleur-de-lis imprint. As if Vicki doesn't have enough concerns to occupy her week. 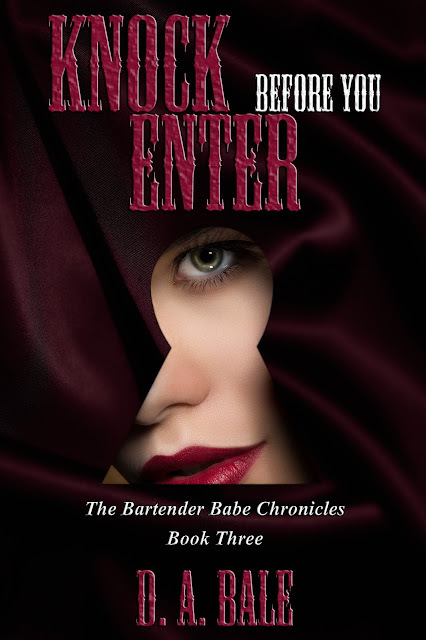 Between fighting off Janine's oversexed younger brother, a mysterious maid of questionable conduct, and the sperm donor breathing down her neck - not to mention those grumpy gators again - all Vicki wants is one uninterrupted night's sleep. Fat chance - even in the land of Fat Tuesday, as Vicki jets off to Louisiana for the holidays. 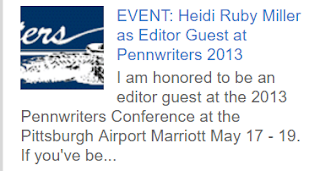 Visit her blog, leave a comment, or send a personal message at http://dabalepublishing.blogspot.com.